Big pine trees & good space at this developed camp in the San Bernardino National Forest, which is better known as Big Bear Lake, California. Green Valley Lake is about 6 miles away. Off-roading trails are nearby. 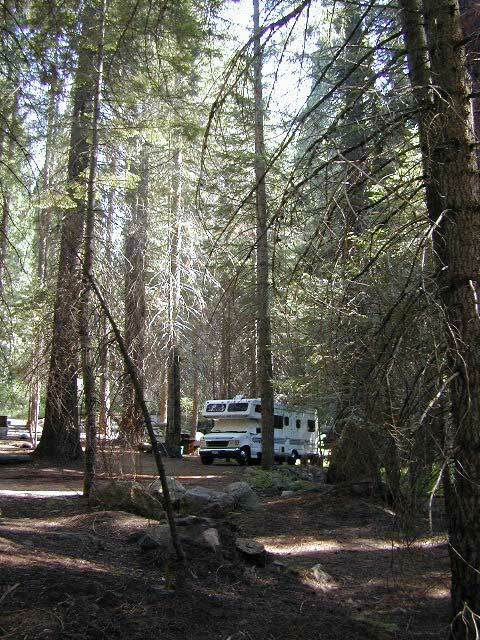 Crabflats campground is best suited for off-road campers, so note - it can be busy & noisy on weekends. Not recommended for large RVs. DIRECTIONS to CAMPGROUND: Interstate 10 to Highland exit; Hwy 30 to Hwy. 330 North. Go through Running Springs and Arrowbear to Green Valley Road. Turn left, go 4 miles to campground sign at forest road #3N16 Turn left and go 4 miles to the campground. 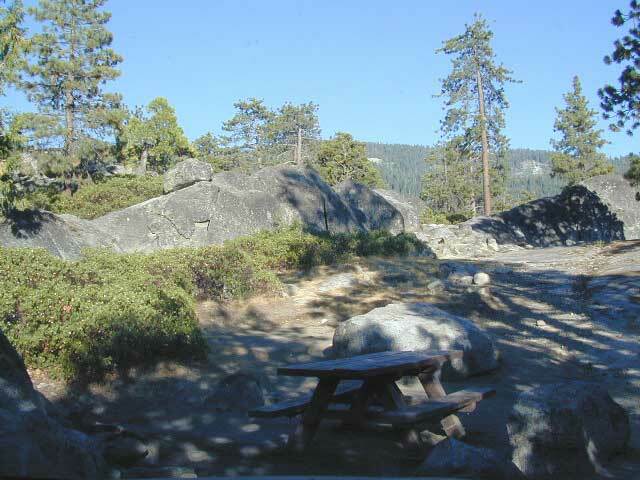 On the western slopes of the Sierra Nevada mountain range, at the base of the Western Divide (California SR 190) this campground is within Mountain Home State Forest. The unheard-of park is worth a weekend jaunt, located south of the big park, Sequoia National Park and north of Giant Sequoia National Monument & Sequoia National Forest. Frasier Mill Camp is positioned on fern-lined Bear Creek; a good size campground on a historic lumber mill site. 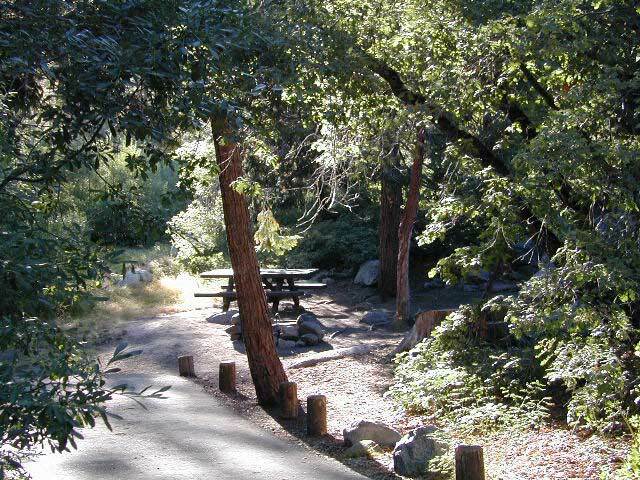 Accessible to numerous Sequoia groves, Balch Park fishing pond, wilderness trailheads. 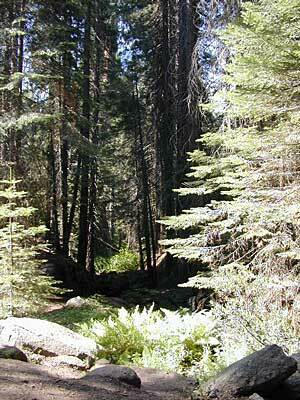 A fork of the Tule River flows through this section of Sequoia National Forest land & there are meadows all over. Bring your mountain bike to easily explore all the dirt roads. Large RVs, motorhomes, trailers are not advised. Access via narrow road with dense forest, steep hills. Backpacking, car camping, fishing, hiking, horseback riding, mountain biking. Access by long dirt road with creek crossings, high clearance recommended. Backpacking, car camping, fishing, hiking, horseback riding, hunting, mountain biking, off-roading. From Ojai, California take Hwy 33. Turn right (east) on Lockwood Valley. Turn right (south) on Mutau Flat Road #7N03 and continue 9 miles to the campground at junction with #7N13. From Frazier Park, head west of town and turn left on Lockwood Valley. Pass the ranger station a few miles, then turn left (south) on Mutau Flat Road #7N03 and continue 9 miles to the campground at junction with #7N13. BACK ROAD: Dirt roads with rough spots and some possible stream crossings. OHV 4WD route called Piru Creek Trail #128 begins near the campground. The ever popular 4x4 Miller Jeep Trail is also nearby, but Alamo Mountain would be a better choice for a campground near the top (end) of the trail. WATER: Bordering on the verge of SoCal high desert this coastal mountain range sees seasonal creeks that dry up, so don't always expect water. This is not the Sierra Nevada. 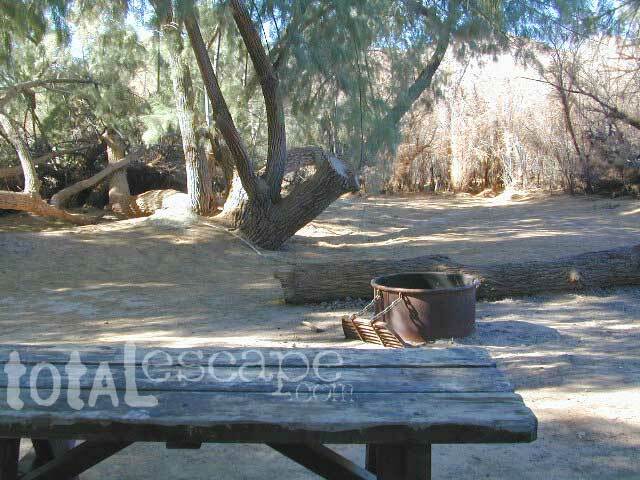 SESPE HOT SPRINGS: Half Moon Campground is the closest car camping area to the super remote Sespe Hot Springs - a long 6 mile hike (one way). If you hike it round trip in one day, you won't be enjoying yourself. It's a good for an overnight backpack destination, but a tough for a day hike. Jefferey pines for a hammock! A large developed camp ground with bear lockers, a raging creek, some walk in sites, & access to the Sierra Nevada high country trails. This is the last real campground in the main valley, everything beyond this spot is pure alpine highcountry. 9000'-13,000' peaks - in the Southern Sierra Nevada mountains. Car camp, tent camping or bring a backpack and climb to pristine lakes and into the real Wilderness. Atop the mighty canyon sits mountain passes, peaks and lakes above 10,000' elevation. A rocky alpine valley of wonder and water, granite, dark skies and a good night sleep. Black bears and hikers are everywhere, anytime. 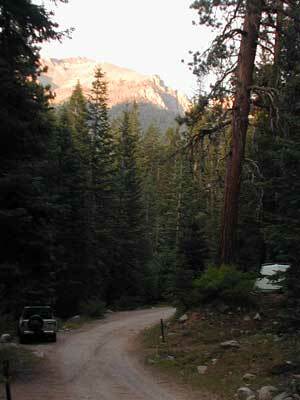 This sweet spot river campground has more than 25 camp sites, but there is not a lot to choose from way back here on the dead end back road known as Mineral King in California. Just up the road a piece from Silver City. 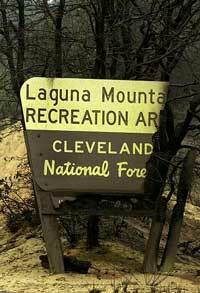 Nearest real town is Three Rivers near Sequoia NP south gate, California State Route 198. Cold Springs Campground has several campsites right on a river with other sites set up a steep forested hills. There are good number of walk-in camp sites at the end of this campground, ideal for backpackers arriving late at night. The actual walk is more like a hike, so be prepared to carry your stuff a mile down a steep forested trail. You will be rewarded with a great camp spot, near the river, away from the parking lot and noise of the car campers above. 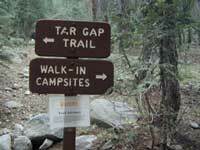 Tar Gap hiking trail leads out of Coldsprings campground and straight into the back country. Coldsprings Camp & Atwell Mill are the only options for local tent camping. Strapping on a backpack and heading for the high country is what most visitors do, as this is an ideal high country trailhead accessible from the western reaches of the Sierra Nevada range. ROAD CONDITIONS: East of Three Rivers, CA on Highway 198 - Mineral King Road peels off to the right, south east to a vast 30 mile long canyon. This mostly paved route closes for winter months when snow is present and rock slides are common. There is a few miles of unpaved, graded 2 lane road, but the majority is paved. Late spring (May) is typically the opening season for this road. RVs, buses, and trailers are not allowed on this narrow, winding road! BIG TREES NOTE: Although this gorgeous, secluded canyon is located within Sequoia National Park, there are no Sequoia redwood trees in this particular canyon. And you might need to drive an hour up the other mountain to reach them. Just a consideration. If you have your heart set on the seeing the big trees, go do that on another trip. Mineral King is a journey and after your drive that road you will understand a few times. The long journey up the mountain into the Sierra National Forest is only for the true adventure seekers. First off, get a good forest map. Second, plan several days if not a full week off of work to explore this region in depth. It is a long drive from most anywhere in California, and this spot is way, way tucked back in there right up against the High Sierra peaks and wildness. East of in Fresno, historic village of Clovis is a good lunch stop in route. Drive up mountain on Hwy. 168, turn right at Shaver Lake on to Dinkey Creek Rd. Now you will clock the mileage 28.7 miles to the camp. Drive past McKinley Grove and past Dinkey Creek. Follow signs to Wishon Reservoir. This campground is located adjacent to the road before you reach the dam. 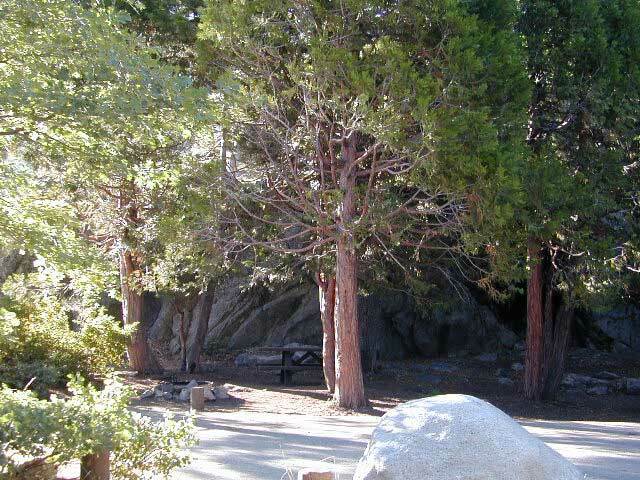 Large granite boulder coves provide cubby-hole privacy w/ shady trees and well spaced camp sites. Very unique design with paved driveways, adequate for handicapped camping with some sites with better access than others. 4 camp sites are considered walk-in sites. Lake views from camps are only a mere climb up to the top of the nearest granite, which will show you just how close you are sleeping to the big water. As with any Sierra location, holiday and summer weekends are the most busy. Tourists, family campers and RVers are all out enjoying the sunshine. Mid-week camping is good for fishing, relaxing w/ peace and quiet. Off season is best for having the place to yourself. Outdoor recreation in the area include - hiking, camping, backpacking, rock climbing, mountaineering, sightseeing, kayaking, canoeing, mountain biking, off-roading, creek fishing, lake fishing. Neighboring Wishon Village has a small general store, RV park w/ wifi & boat rentals. 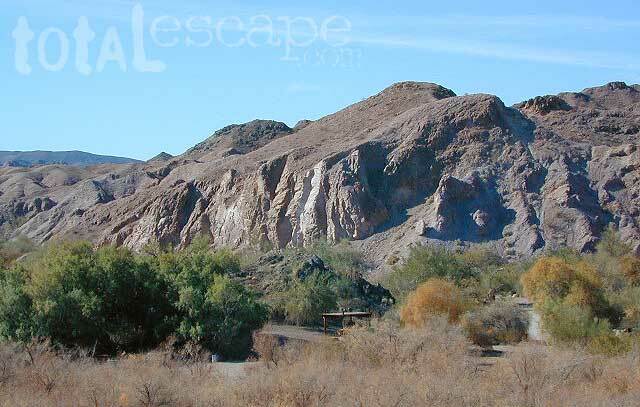 not to be confused with Picacho Peak State Park on Arizona side of the Colorado River. 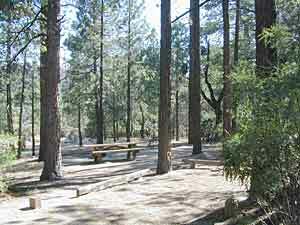 This riverside Picacho Camp is also not the "Paso Picacho Campground" inside Cuyamaca Rancho State Park, in the neighboring San Diego mountains. 3 boat launches; day use areas and campground open all day and all night. Long, graded dirt road leads to desert campground centrally located north of Interstate 8 on California - Arizona state border near Yuma, AZ. 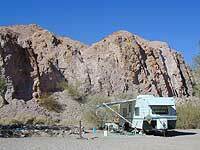 Lower Colorado River campground has adequate space for tent camping as well as motorhomes. Vegetation makes for privacy at most sites. 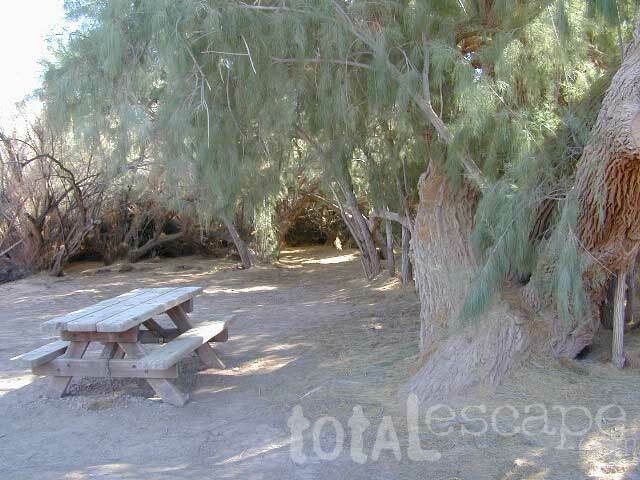 Tall tamarisk trees provide shade at some sites and sky view camp sites are located next to the cliffs. Recent wildfires have scorched some areas and river shorelines. RV campers spend weeks wintering in the desert warmth and sunshine. Summer temps are often triple digit heat, so plan vacation time at this location based on weather reports for Yuma, AZ. Large roomy camp sites with shade. Colorado River on the waterfront? No camp sites in the main campground are located directly on the river edge, but there are numerous secluded camps accessible by foot or 4x4 vehicle. Boat-in campground too. Outdoor recreation in the area include - hiking, camping, sightseeing, kayaking, canoeing, mountain biking, off-roading, big river fishing, duck hunting. 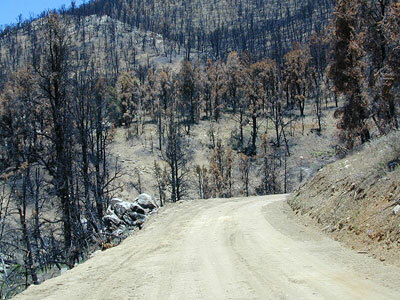 Wildfires in western states are common place each summer with the typical "wildfire season" starting in mid summer and lasting into late Autumn, or until the first significant precipitation. The less rain in winter, the drier the land. The less snow in the mountains, the less water in the rivers, creeks and reservoirs. When significant drought conditions in California meet with dry springtime chaparral, wild land fires can easily be ignited. 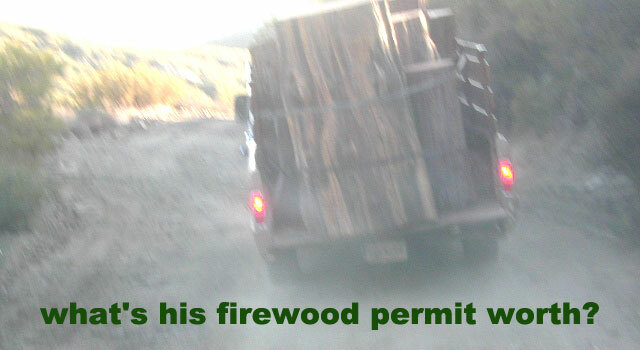 Campfires restrictions are tighter than usual this summer 2013, so knnow the current conditions and restrictions by contacting the nearest ranger station. Remember that campfire safety is always key. as of June 3, 2013: The lower half of California is in extreme drought conditions and backcountry fire restrictions are already in place. This means you can only legally have a campfire inside a developed campground. 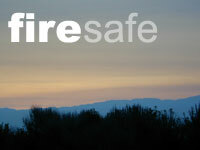 Severe conditions may escalate to 'no campfires anywhere' as the summer continues, so know before you go. So remember.... if you really wanna primitive camp for free on the back roads, you'll need to drive north, way north to the Central Sierra, Northern Sierra or Northern California. 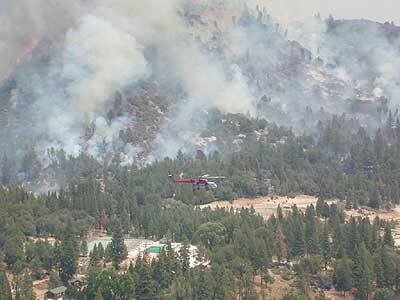 For any location south of Yosemite, you should expect tight campfire restrictions.